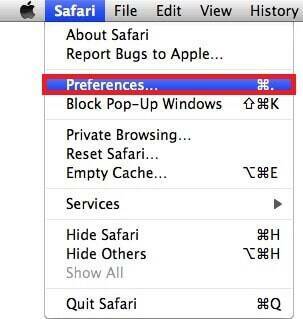 This page aims to help you remove Safe Finder. 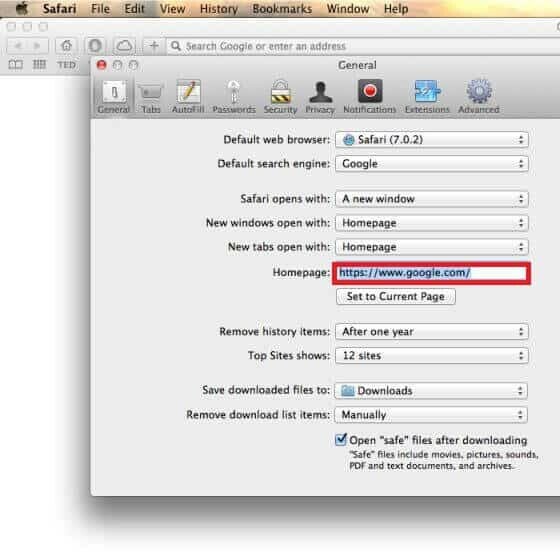 These Safe Finder removal instructions work for Chrome, Firefox, Internet Explorer and Safari, as well as every version of Windows. People often refer to Safe Finder as a type of malicious application known as Adware. It exist for two purposes – to fill your screen with Ads and also fill its creator’s pockets with money every time you are forced to click no an Ad. Some, if not most Adware programs pretend to have some useful functionality and Safe Finder is there with the rest of them. It is supposed to be your friends and help you, but the only thing it will ever do is annoy you with Ads. It cannot be turned off. The only way to stop these Ads is to remove it and this is all this guide is about. IMPORTANT! Safe Finder should be removed as quickly as possible. This type of Adware is notorious for its ability to spy on your browsing history and upload that information online. In time it may also try to install different malicious and scam applications on your computer. From time to time we get asked which browser is the most secure and least likely to become infected with stuff like Safe Finder. Well… the truth is that most browsers are pretty safe to direct attacks, but if some type of malware or adware is installed on the PC they are all equally vulnerable. The days where Internet Explorer was a swiss cheese of exploits and vulnerabilities seems to be gone and Firefox, Chrome and IE are nearly equal in the security department. 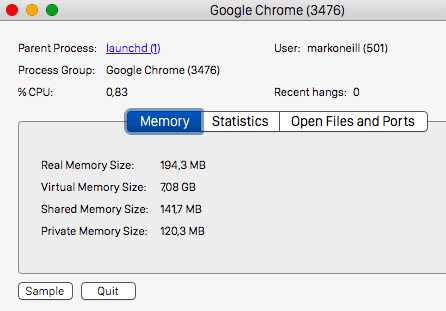 Chrome, due to its popularity, tends to be a bit more vulnerable, because hackers focus their attention on it. However, what truly matters is your own ability to recognize such Adware threats before they make it into your computer. Once they are inside nothing is safe. We’ll help you make sure this never happens. People tend to notice the problems caused by Safe Finder fairly quickly – the amount of extra Ads, the slow loading times etc. Unfortunately, the Adware is prepared and very often it will actually advertise anti-malware software or other PC repair or speed-up solutions. These should never be even considered, as they are distributed by the creators of the Adware and they will not actually work. The ones that “do” serve as an additional layer of Ads that filter all legitimate sponsored Ads on websites and replace them with the junk that gets advertised by Safe Finder. If you want to get rid of this pest using legitimate software, one that can also protect your PC for an extended amount of time, check out our recommendation at the start of this article. Software bundles are by far the most common method preferred by Adware to infect computers. A software bundle is basically an installer for a program that installs more then one program. Whenever you decide to run such a bundled installer on your computer and pick the default installation option you’ll automatically agree to also install whatever other programs the creator has seen fit to add inside. Rare can useful software be obtained in such a way – you will be getting only programs in the likes of Safe Finder. We urge our readers to always pick the Advanced installation option – this way you get to see what exactly is getting installed and you can block any extra unwanted programs. Do it whenever possible.Should save you a lot of headaches, because these programs are much harder to get rid later, after they have already been installed..
Online Ads are another common culprit. Torrent sites especially are well known for their trick involving multiple fake download buttons. If you click on the wrong button you’ll get a file to download that is named exactly like the file you want. Unfortunately what’s inside is actually the virus. Attached files send via Email or Facebook/Skype messages. This trick is fairly old, but it is constantly getting improved on. The latest hit is to make it look a colleague sent you that email and it will also include what appear to be work-related files inside. Remember to look for the file attachment before you look at the file name. If it ends with .exe then its most probably a virus! Fake download sites are another source of Adware programs. These sites have built-in algorithms, which allow them to copy your search queries and make the search engines believe they have a perfect match for your search. When you try to download a file from such a site the name will fit, but the contents of the file downloaded are actually going to be filled with viruses. Because of this it is never a good idea to open files obtained from random sources without scanning them for viruses first. Always keep an ant-virus or anti-malware program set to run automated scans. If you don’t have one you can check our recommendation above. Remember that Safe Finder’s goal is to enrich its creator and not help you in any way. Also, reputable sites and companies almost never advertise through such shady channels like Safe Finder, so any Ad you see likely leads to some obscure 3rd world site or maybe straight to a virus-infected page. It could also lead to a phishing scam – linking you to a site that looks exactly like some site you visit frequently. Should you try to log-in into this fake copy your account names and passwords will be recorded and used by the hackers to access your real account. Software offer for download by Safe Finder is especially dangerous. Very often such software is advertised through the help of fake system messages that are actually Ads originating from Safe Finder, but made to look like real system messages. If you suddenly start getting excessive amounts of error reports that also prompt you to download some software then you should know this is a scam. Such software is called Bloatware (or Scareware) and it doesn’t work. What it does is that it creates these fake messages about problems and if you pay it simply stops producing these messages for the duration of the paid-off period. if you believe that you actually have a problem with your PC we recommend that you look for a solution online and download it from the official site. Don’t trust any Ads coming from Safe Finder with anything! If you’ve already installed anything uninstall it immediately! Symptoms An unrealistic amount of third-party advertisements, almost all of which lead to unsafe links. can you open the options menu on the program and see if there’s an option that is preventing you to uninstall it. there are legit. Our team researched these IPs and they turned out to be harmless. this one is ok it’s harmless and you can leave it as it is. Hi, Rishika. Does the account, you’re currently using have Administrator privileges? You need an Administrator account in order to uninstall programs from the computer. Also, if you can send a screenshot, we might be able to get a better grasp of the situation. Hi, Raven, you can refer to our article named How to Remove Ads On Mac if you are seeking for a Mac adware removal guide. We have created a separate guide for that which is where you should go. The guide’s title is How to Remove Ads On Mac. If you are having problems with your Mac, go ahead and check it out. Were there any IP addresses in your Hosts file below “Localhost” (as described in Step 3 from our guide). Also, it would help us determine where the issue is coming from if you send us a screenshot of your program installs from your Control Panel (Step 2). Your program installs seem to be in order. However, you did not send us a screenshot of your Hosts file. We strongly recommend that you check that since you’re likely to have some unwanted IP addresses there. All of those IP’s below “localhost” seem to be coming from the unwanted software. Therefore, make sure to delete them and save the changes to the Hosts file. We are glad that most of your problems have been dealt with. If you can send us a screenshot of what Lidashi is or explain to us what the exact issue is, we might be able to help you with that too. great article with straight forward steps, thanks!!! We are glad that our guide has helped you resolve your problem! Follow the path to the specific file (it is shown in the sample text) and once you get there, scan the file via our scanner. how would i get rid of this it pops up frequently and causes new tabs to open up in chrome with an ad or fake flashplayer like download. What steps from the guide did you complete? I would really appreciate some help with removing Safe Finder from my Safari. I am under a Proxy on Mozilla Firefox right now, but I don’t know how to use your malware scanner you provide. If you need to know, my Mac is updated to the most recent release (Mojave). The first thing to do is complete the steps from the guide. The online scanner on our site is supposed to check separate files for malicious/questionable code. If you are referring to the suggested removal tool, you need to download it and purchase its license to use it. Then again, we still advise you to simply complete all of the steps from the guide and then, if this didn’t work, tell us about it.